It's that time of year... and we've made a list of '2012 Holiday Gifts for Architects' - a collection of some of our favorite designs to give and receive. While there are countless sites with design-specific gift guides (FastCo. Design, Dwell, Inhabitat and Cool Hunting, to name a few), this post aims to share the a few alternatives that are not only unique and useful, but accessible and applicable, with varying options for a range of budgets and interests. Additionally, most of the gifts listed below are recommendations based on personal experience- either gifts we've given or received, along with a few items from our own design wish list... Enjoy! MOMA favorites: the Museum of Modern Art is always a good place to start for design, art and architecture gifts, and a few of our favorites include the Bi-Color Plywood Clock, a print of The Red Studio by Henri Matisse and the classic Alvar Aalto clear vase. Starchitect Prints: We looked at these minimalist graphic illustrations a few months back at MYD blog- a collection of prints of famous 'starchitects' who shaped American Modernism. Choose from Le Corbusier, Bucky Fuller and more, and make sure to check out other gift options at PrairieMod Store. Periodic Table of Design t-shirt: From a favorite site, Life of an Architect, is a collection of shirts for architects, interior designers, students and more. See the collection here, including architectural graphics such as a the Scale Figures design that Jason sports on a regular basis. Read more here. Victorinox Tomo: A Red Dot Design product design winner this year, this minimalist swiss army knife is a useful and appealing tool to have at home or at the office. We like the clean white aesthetic, a nice counter to the recycled packaging, which is also a well-designed product in its own right. Stendig Calendar / Studio Hinrichs 365 Typography Calendar: We've treat ourselves to the Typography Calendar every year, and with unique typefaces and fonts for each month, it never fails to impress. The Stendig calendar, part of MOMA's permanent design collection, is a large 3' x 4' black and white graphic minimalist design by Massimo Vignelli, first produced in 1966. Find it, along with the Studio Hindrichs Calendar, at KenKnight.com. 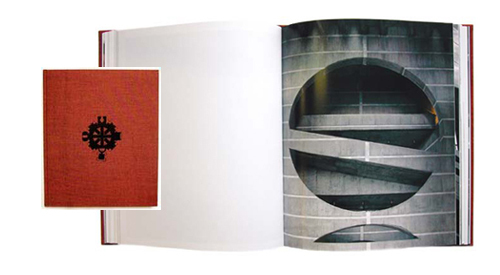 LOUIS KAHN DHAKA: Published in 2004 by Simonett, this beautiful set of two books features large photos of the capital complex in Dhaka, Bangladesh, a design that epitomizes Kahn's humanist approach to monumental architecture. Photos by Raymond Meier, as well as images from the construction of the project offer a unique look at the project, and the publication makes for a beautiful and unique gift. See more images and read our review here; purchase a signed copy at Meier's site. Wire Base Low Table: For mid-century modernists, this Eames design, available in a variety of colors, is a versatile piece that can serve a number of functions and can be incorporated into any spaces in a variety of ways. This year, manufacturer Herman Miller is offering the table in three bold colors (reflecting of the famous Case Study House #8) to celebrate Ray Eames' centennial this month. The original versions can be purchased here.